Looking for peace? While that may sound like an existential question, we actually think you may find some at a tucked away homestay in the lap of the Konkan coast – Atithi Parinay. 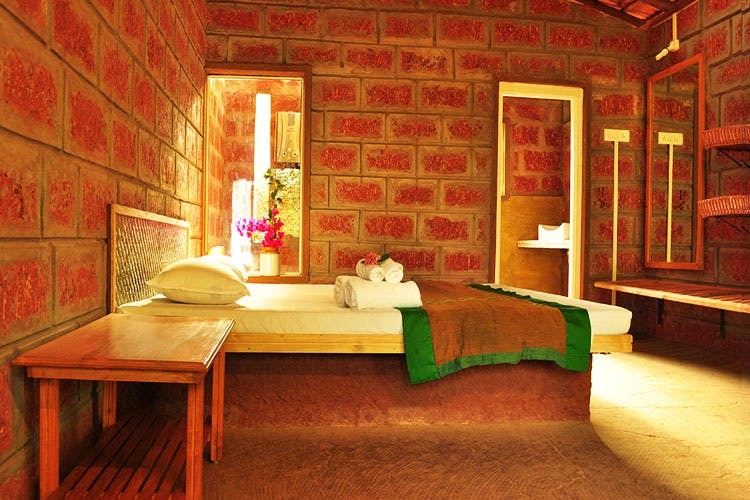 Once an ancestral property, Atithi Parinay is now a rustic homestay that truly lets you get away from the city. It is separated from two different beaches by just 10 minutes. You can live in a tent, put up in a cottage or even climb up to the treehouse. This is in the village of Kotawade, and is located near both Ratnagiri and Ganpati Phulle. You can take a train to Ratnagiri and then an auto rickshaw will get you to the property. The food is of a simple fare – home-cooked Maharashtrian food but is full of flavour and love. Travellers who have visited really rave the modaks prepared, and we can’t wait for a taste of it ourselves.